The costs for prescription medication are skyrocketing higher and higher every day. Even a good insurance plan. But what if you could find a way to save money overall with or without an insurance plan? There are many online resources that help people cut down these costs with special discounts. Are they legitimate and do they really work? Let's take a look at one such company called GoodRx.com and find out! GoodRx.com is a website that helps consumers search for prescription drug information and prices. GoodRx.com began in 2011. Its corporate headquarters are in Santa Monica, California. The company's mobile app helps members find coupons and up to 80% discounts for their prescribed medication. Consumers can compare prices among nearby pharmacies and print coupons to help them save money on their medication purchases. The affiliated pharmacies have contracts with many of the various insurance companies to provide discounts for those with and without insurance. GoodRx.com offers a free mobile app available for both Apple and Android devices. With the app, you can access over 75,000 pharmacies in the United States and download and print coupons up to 80% off. Consumers can access side effect information on their prescriptions and find local pharmacies and their hours of operation. How Much Does GoodRx.com Cost? The company's mobile app and other services are completely free to use by consumers. Consumers can search for a medication on the website at no charge and get all the information they need. The website will provide a description, pricing, and available pharmacies nearby. The website will also provide a list of potential side effects and any current news articles about the medication. Consumers are able to print free coupons as well as receive a free discount card. Excellent BBB Rating: The Better Business Bureau rating is a gold standard for many people on how well a company operates and treats its customers. At the time of this review, GoodRx.com has an A+ rating and full accreditation with the Better Business Bureau. The company has only one negative complaint filed within the last 3 years. Customer Service Will Treat You Right: The company is happy to quickly resolve any issue a customer may have with a discount coupon. GoodRx.com clearly provides its customer service contact information on its website. Discounts on Your Pet's Meds, Too: One awesome item about GoodRx.com is that it provides information and discounts on medication for family pets as well as their owners. Pill Identifier: This is a handy online tool if you mix up your pills accidentally and can't tell which is which. You can enter online the imprinted numbers and letters on the pill in question. You then select the color and shape and hit search. The online tool will present you a narrowed list of choices with pictures and description. You can select the right option and get prices and discount information. Free Mobile App: The mobile app is easy to use and free to download. You can search for pharmacies and medication information while on the go. The app also makes it easy to show your coupon directly to the pharmacy directly from your smartphone. Coupons May Get Rejected: Many people have complained the discounts are not available at many pharmacy locations. They went to the pharmacy with the discount coupon and it was rejected. 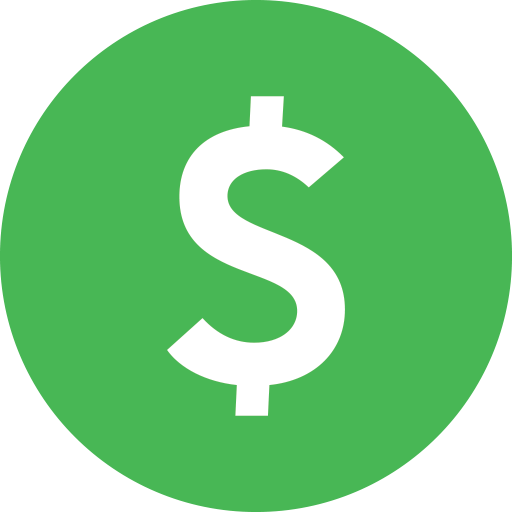 So in which case you may want to look into an alternative like Ebates.com which provides tons of coupons and cash back. Discounts Aren't All They Are Cracked Up To Be: Folks have also stated these discounts are not as good as advertisements on the GoodRx.com website. Customers received a higher price for their medications than the quotes from the Goodrx.com website. Some Meds Aren't Covered: Some pharmacies will not accept discount coupons for certain types of medications. Controlled substances such as Adderall will not be covered with discount coupons. If you have questions on whether a discount coupon will be honored, you can call the pharmacy ahead of time to ask and not waste a trip. Some Pharmacies Aren't Close: Some consumers have reported that using the sort by distance feature for pharmacies on the app was not helpful. Available pharmacies for their medications were sometimes only available from a 30-minute drive or farther. So Does GoodRx.com Really Work or Not? Technically GoodRx.com is legitimate and provides discounts on prescription medicine. The good news is that it is completely free to use. But apparently it's not all good with GoodRx. Some pharmacy locations may not accept the discount coupons. However, the company will make their best efforts to resolve any issues with the discount coupons. Since it is free, it may be worth a shot to try it out and save money on expensive prescription drug costs. Either way, I would love to know your experiences with Goodrx.com. So feel free to leave a comment down below. GoodRx.com is a legitimate company that does provide prescription discounts. But it's not all good. There are some complaints that the service doesn't always work. Hey Eddy, Interesting site. As someone with a terrible insurance I don’t really get much of a break when it comes prescription medicine, this site is perfect for someone like me or someone with no insurance at all. Thank you for bring this to people’s attention, hopefully it will help others who have a hard time coming up with the money for their medicine, thanks. I lived in US for couple years. Medical insurance and prescription medication are always a bit burden for public. It is great to have a website like yours to review a legit way to get discount though I never thought or used of it before. Even there are disadvantages as you mentioned in this article, but I think a penny saved is a penny made. I will refer this Goodrx to my friends and relatives. I agree George. Nothing is perfect. But if you can save some money, why not give it a shot. Thanks Eddy, I really like the sound of this goodrx system to get great reductions on prescription medications, and I personally don’t mind if it’s not valid in every pharmacy, because let’s be honest when something is completely free like this, you have to expect that it won’t cover every base. Is there any particular states where this is not allowed in any pharmacy? You’re welcome. I don’t believe there are any state restrictions. You can always visit their site for more details. Is Good Rx available in Malaysia too? I agree medicine can cost an arm and a leg (How ironic) and as fit as we may be, one cannot escape from getting sick from infections. I don’t believe it’s available outside the US. Medication is so expensive it’s good to know that there is a viable option to reduce some of the cost. I think with most discount programs you might find that some products don’t fit the criteria and wont be available for a discount. However if you can get any type of discount on any of your medications that’s a win-win situation to me. With the more “free” being referenced regarding this program I feel there is nothing for me to lose. I will give it a try to see if I can reap any of the benefits. Thanks for making me aware of this program and I will be share it with others who might be interested. I’ve used Goodrx a few times. I’ve never had a problem with a pharmacy taking the coupon. My biggest complaint is that drug prices change drastically from month to month. A prescription I got for my daughter was $28 ($175 w/ins) and 2 months later it’s now $80. How does a person budget for that kind of price fluctuation? Overall though it’s a decent service. Thanks for sharing your experience. Unfortunately the nature of the pharmaceutical industry is that it’s all about profits. So I can’t say I’m surprised that the prices fluctuate like that. It’s sad. 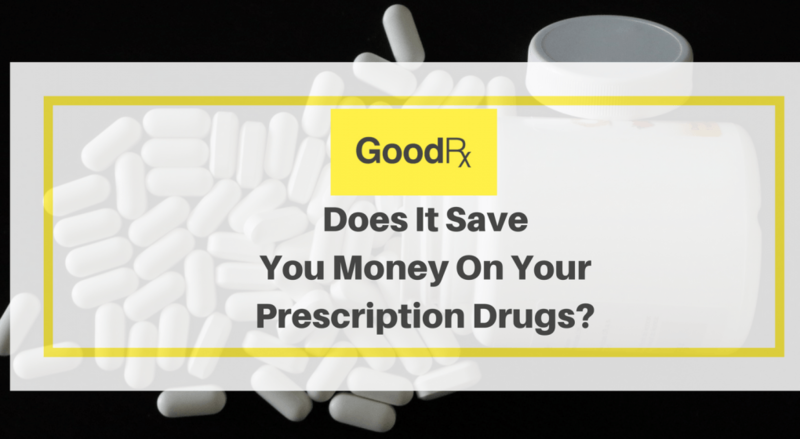 I Love to purchase drugs from Goodrx, it will helps to save my budgets. I always prefer goodrx and MedsColony drugs store, both store help to save more money. No one accepts your coupons. Walmart price with no coupon or insurance cash price was $10.00 Cheaper… Walgreens would not accept you coupon and was $30.00 High then your coupon..
Well thanks for sharing your experience and opinion. I had a script for adderall and the insurance company wanted more information but it was the weekend. Goodrx coupon code was the same price with my insurance and no hoops to go thru! I only discovered your service today. My wife uses the generic for Zetia. Her part D insurance plan charged a copay of $347 for a 90 day supply. By using you coupon our total cost was $39. Awesome way to save $307! We don’t own this company. We just reviewed it. But thanks for sharing your great experience. I never understood if this would actually work, but my insurance changed on January 1st and no longers covers medication I take each month. I knew that if I paid cash the prescription would be $55 month, so I just brought both the card and a coupon (I printed it, but did just download the app to make it easier next time) and paid $23.47. Fantastic deal in Washington DC! Good RX worked for me. I was able to purchase 6 months worth of three medications for a total of $42.00, less than it would have cost using my insurance. It did require the4 cooperation from my DR.and a little discussion with the pharmacy personnel, but over all worked fine prices given on the coupons were correct or a few cents less then printed. If someone really wanted to work on it they could save even more by getting a higher dose pill and splitting them. I also found not having to deal with the insurance limitations very refreshing, I don’t think my insurance company would allow me to get 6 months of pills at one shot, they want to get their copay in 90 or 30 day increments. I’ve only used Goodrx once, so far, and I saved $16 of what I paid for my rx using our insurance ($41.00). I did some price comparisons of my other 5 meds and Goodrx came in lower than my insurance copay for all 5, and I thought we had good insurance! I’m shocked that my doctors or the pharmacy didn’t suggest Goodrx, even after some meds were prescribed and I verbalized they were out of my budget. Do your homework, I think you will find some savings on some, if not all of your meds. That sounds like a great experience Chris! Thanks for sharing! Just filled an Rx for my dog. Cash price for 90 tablet supply was $341. With the Good Rx coupon, the 90 tablets were $37. The Rx was for a medication people use. How does any justify the high cost of drugs? This is what is wrong with healthcare in this country. Thanks for sharing your amazing experience Jan! Thanks for sharing your experience. This is the first time I’ve heard it didn’t work.